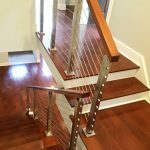 This home in Pennsylvania has a dazzling stainless steel, custom cable railing system that ties the modern, open feel of the house together. 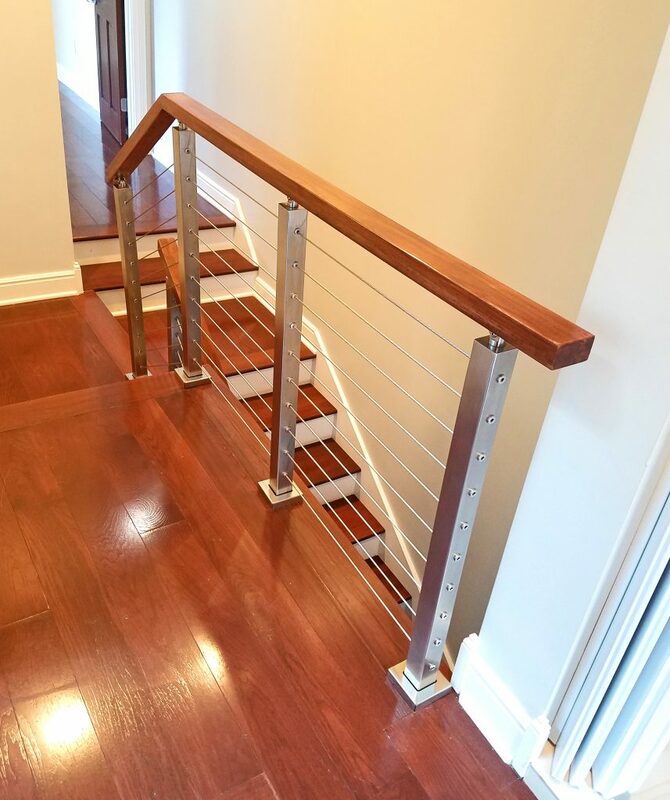 For this project, the customer combined the clean aesthetic of brushed stainless steel with the contemporary design of a 6000 mission style handrail. 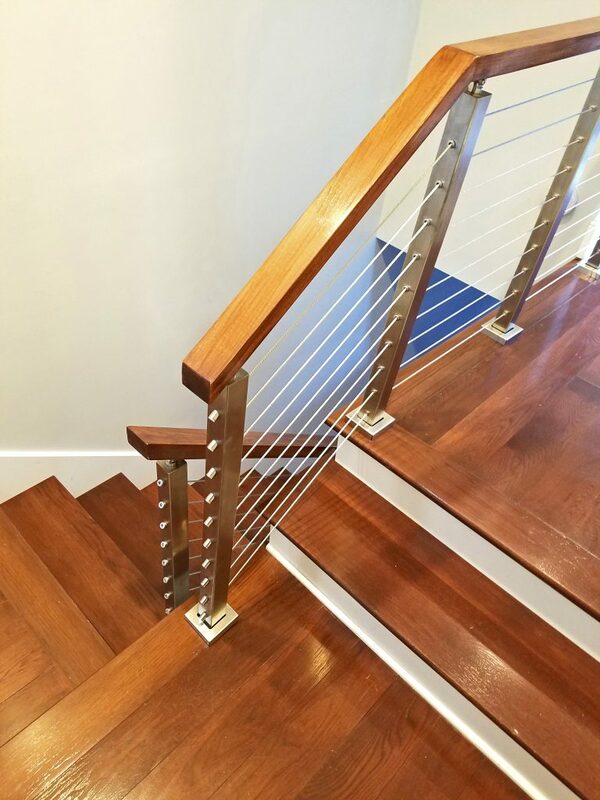 For the handrail, the customer selected Hickory wood that has rich color and beautiful variation. The angle of these stairs was slightly less steep than what is standard. 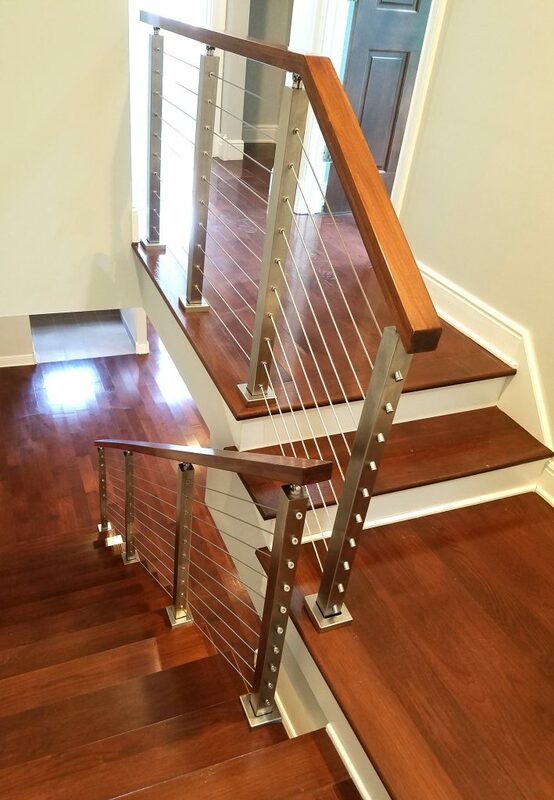 However, we were able to use our cable railing tension kits and components to get the job done. 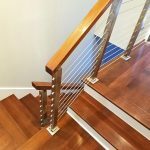 If you have a unique angle on your staircase, don’t let it scare you! Our experienced team would be happy to quote a project for you with the right, customized materials for the job.